**Guest post written by Blake Morgan, artist, musician, record producer, CEO of ECR Music Group, and founder of #IRespectMusic. Originally featured in The Huffington Post and later featured in The Trichordist and Digital Music News. 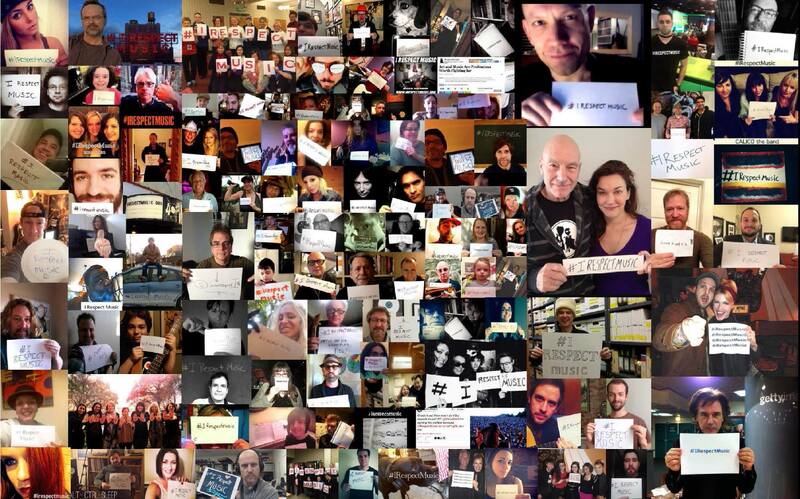 **Guest Post by David Lowery, frontman from Cracker and Camper Van Beethoven. Originally featured in The Trichordist. 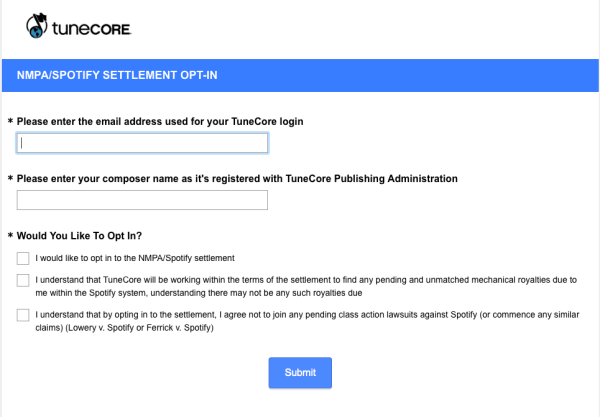 "If you are a Tunecore songwriter, you recently got an email asking you to sign up for the NMPA/Harry Fox Agency/Spotify settlement. Songwriters are directed to [a] Survey Monkey form. This is it. No details. Nothing. Nada. In particular, there is no mention of the possible statutory damages that songwriters are waiving by opting in to this..."